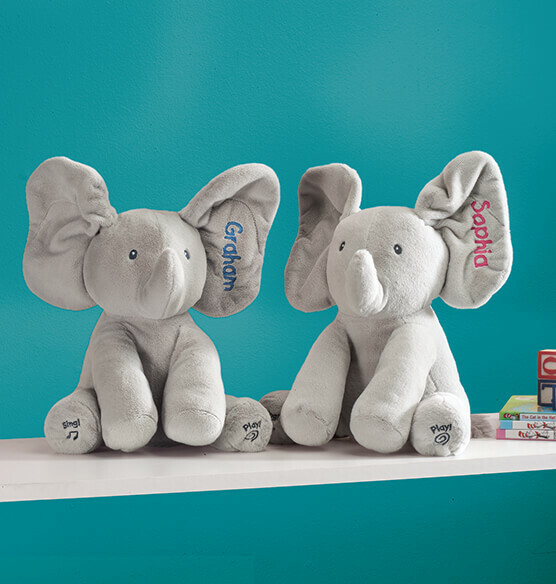 Huggable Personalized Flappy Singing Elephant makes little ones happy–playing peek-a-boo and singing a cheerful song! 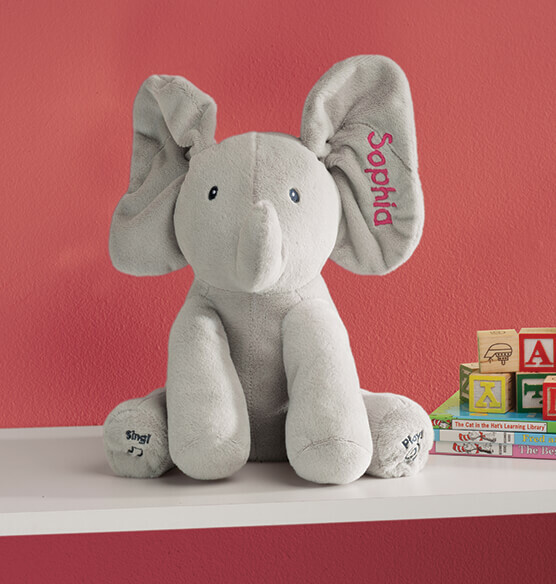 The soft, snuggly plush elephant plays interactive peek-a-boo when his left foot is pressed, and flaps his ears while singing "Do Your Ears Hang Low" when his right foot is pressed. 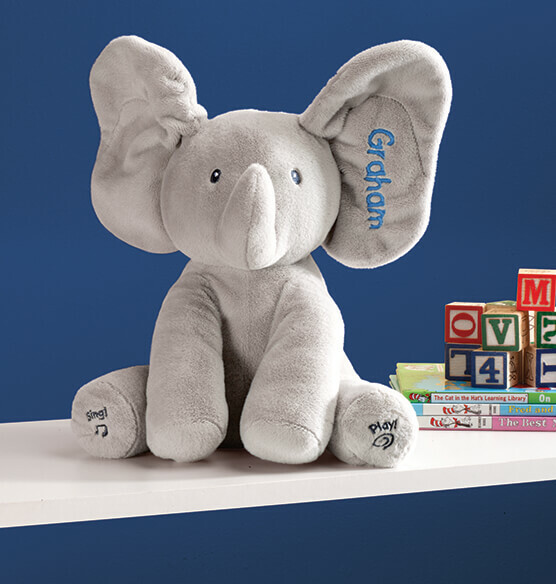 A delightful baby gift kids will love for years, Flappy the singing elephant is a custom treasure when personalized for one lucky child. Specify embroidery color: pink or blue.